Did you read my similiar blog on Meeting MS Dhoni ? Do you believe in Intution ? I certainly do believe in it, and my belief has gone strong over the time, when it everytimes comes true. 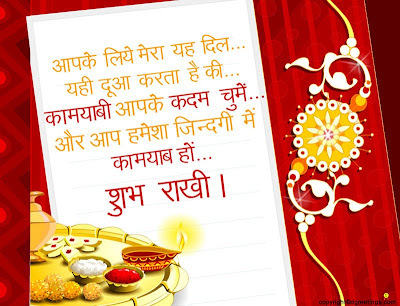 Here is one more example of it. In May 2013, I got a mail from a company that "I had won a chance of meet and greet with Shahrukh Khan" and unfortunately I had my Final year project demo the same day, and I had to take a quick decision and decided to drop SRK ! Many friends said "Dude, how could you miss SRK", but I don't know, I didn't feel bad at all to miss SRK. That day, I just got an intution that chuck SRK, I want to meet Aamir Khan, "The perfectionist". So, coming to the point that, I gave my exams, I was graduate and then the wow thing happened. 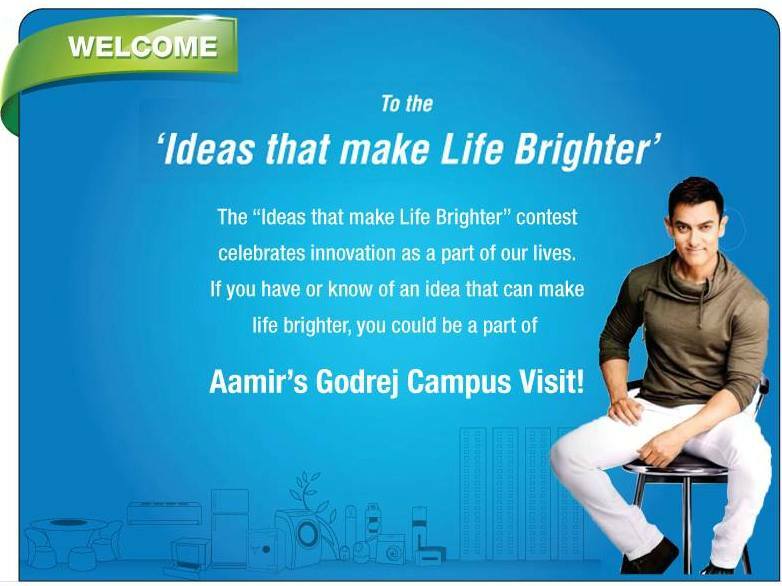 One fine day, I just got a mail from Godrej saying I was selected to be the part of Aamir Khan's Godrej Campus Visit. I just pinched myself, could not believe, but yes soon realized the fact. Aamir khan is the brand ambassador of Godrej, whose tag line is "Ideas that make Life brighter". Godrej had a campaign on facebook where the participants were supposed to pour in some unique ideas which can brighten the lives of people. Probably, It was my luck that I reached that page someday, that too during that contest. I just analysed and realized that Yes, I can do it. I searched up and came upon many good ideas and submitted mine, and two of them got shortlisted in the top ten. If you are my facebook friend, it would be very easy to guess the gift I carried for Aamir khan, which i usually carry when I meet some of my favourite celebrities. My bad habit that I do things all at the Nth moment. I collected photos, thought over the cover page and title, designed, printed, everything was done on the last moment. But Thank god, I had the Book in my hands before leaving mysore. 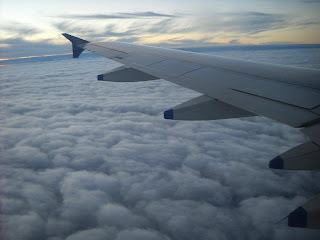 I've been travelling a lot to Mumbai, Delhi etc, but the main problem comes as generally the flights from Bangalore airport are around 9AM - 10 AM morning, and so I have to leave about 3AM-4AM from Mysore, or have to stay back at bangalore previous night, which is really hectic and I hate it. I was worried about the same again, but all thanks to Godrej, They took care of everything. They booked a flight ticket one day back, so that I can be comfortable. They arranged a cab from home to airport, and Flight and Hotel for that day, then Aamir khan meet, and return on the next day. 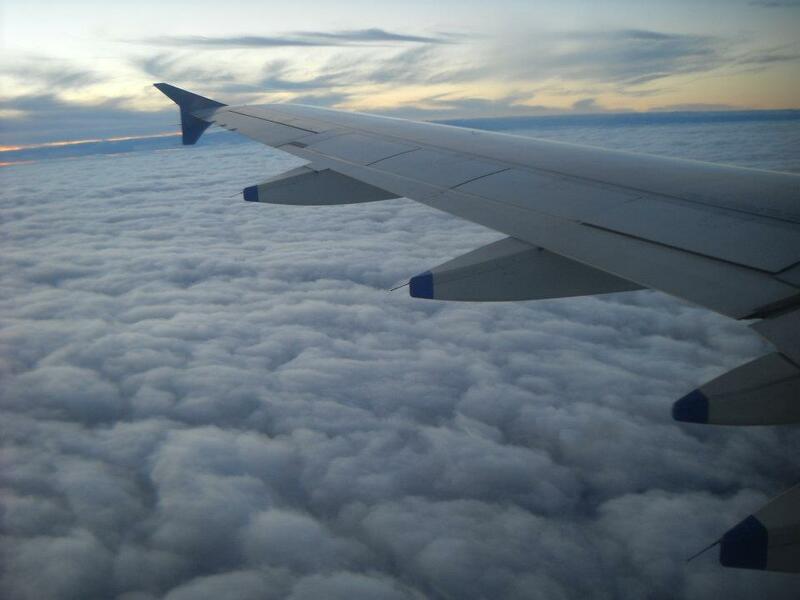 So, It was 2 Night and 3 days of short trip ! :) Everything was very comfortable. A Visit to Mangrooves. Mangrooves is a Coastal forest inside the Godrej Campus in Mumbai. When I reached Godrej campus, I was taken to a auditorium where the briefing about the whole day event, I was shocked when I realised, there was no Meet and Greet scheduled for me. The Local children and their Parents had a meet and greet with Aamir khan, and just we four of the winners didn't have it. On asking, we were told "Due to security reasons". That really pissed me off. We requsted the organisers, they told they would try. 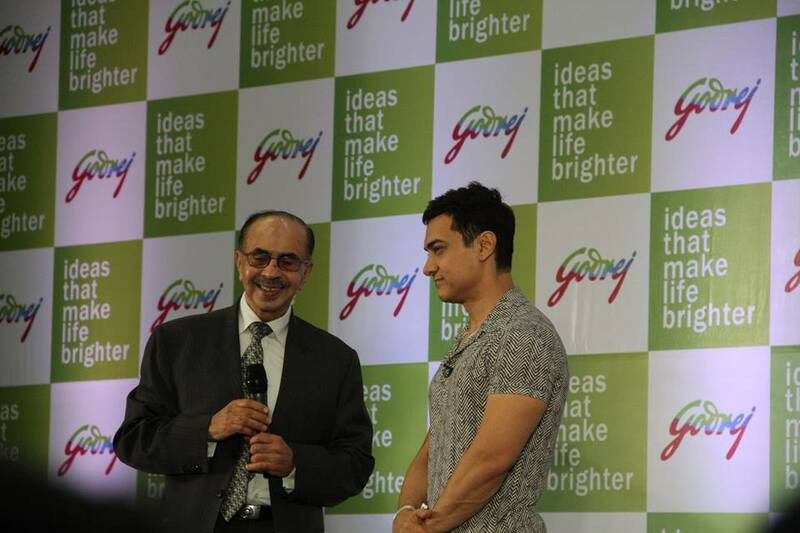 With the little hope of meeting Aamir, our day started at Godrej. If I ask you a question : Guess, How big can be the Godrej Campus at Vikhroli Mumbai ? How much would you say ? 10 Acre ? 20 Acre ? 50 Acre ? The Godrej Vikhroli Mumbai campus is freaking 2200+ Acres . Yes ! Can you ever think of the how much big it is , that too amidst a city like Mumbai. 2000 Acres is covered just with the coastal forest called Mangrooves. Godrej had purchased that Land long back in an auction, and developed it as a perfect coastal forest and lot of gardens, and it is open just for Educational visit purpose today. They have Homes for employees, corporate office, their own Sub - way, companies like TCS and much more, inside their campus. Maharashtra Govt had asked that Land for Crores to build a international airport, which Godrej refused. The Mangrooves has Hundred of speices of Animals, Plants. It has a special Medicinal garden where there are lot of ayurvedic plants. It has a palm garden where there are more than 20 types of Palms. A complete Guided tour was given in a bus, which was really interesting. I was shocked to see a big forest inside a campus, that too in Mumbai. The Mangrooves tour ended around 12:30pm and we were taken back to the main godrej building. It was lunch time till 2pm and we were taken back to the auditorium. The other local winners were taken for the meet and greet with Aamir Khan, and we were made sit in the auditorum lonely. On asking, we got the same answer "Security reasons, We will try.."
They told us, they will take us to the Interview with Aamir khan and around 2.45, we took us to the interview hall where our seats were reserved. It was a big hall with the stage set for Aamir khan. I had a seat in the 3rd row, and front two rows were all Top officials and Family members of Godrej. I was sitting on my seat, and all of sudden there was some noise and claps. I thought it was Aamir and I turned around, It was Adi Godrej in the hall, The Owner of Godrej groups. The moment he entered and reached his seat which was just in front of mine, The media people started their cameras and the flashes started flashing on me. I swear, It was one of "The Best" moments of my life, when I saw those continuous Camera flashes for like 5-10 minutes on face. It was so damn motivational and inspirational. It was feeling as if they were flashing me. Damn ! It was an awesome feeling, By God. Soon, The media folks settled in their place and all were waiting eagerly for Aamir khan to enter. The Host announced and Kiran, Aamir Khan's wife, along with Parmeshwar Godrej, wife of Adi Godrej entered the hall and people started clapping and media persons again started flashing, but i was excited to watch Mr.Aamir, not Mrs. Aamir. It was just a matter of few more minutes, and The Aamir Khan entered the stage from the backstage and My god, What a personality he looked, The way he waved people, greeted, smiled, It was just unbelievable that Aamir was in front of us, and I was just like 3 rows away from the stage. Everyone settled on their chairs, Media persons settled, and the Interview started. The host started asking up questions about his Experience with Godrej, His secret about being Perfect, and lot of other questions, and Aamir answered them very patiently and so perfectly (Of course, that's why he is called Perfectionist). But the thing which was going in my mind was : Will I get to meet Aamir or not. I knew, once the interview was over, He would return with his bouncers back. 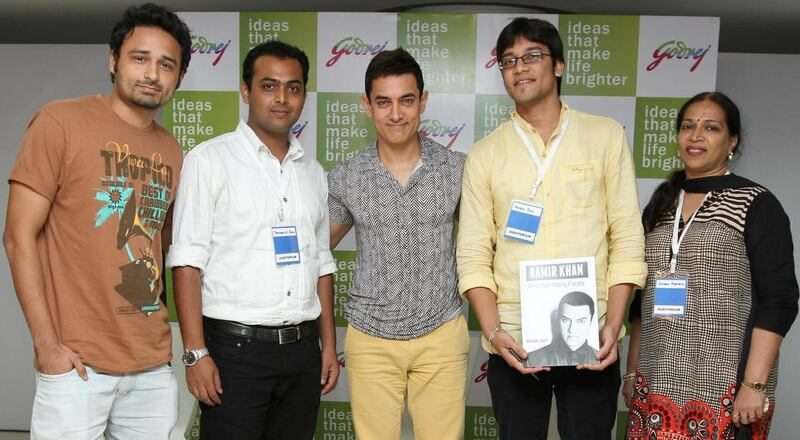 The time went going, and my chance to meet aamir got fading up. After the end of the interview, Host said "Thank you" and I started searching around the organiser to try and make me meet him, but she also gave up, as she said She had nothing in her hand. I tried reaching some officials or breaking security, but then thought it would against ethics, and I decided, If my efforts are true, It would happen and surely would happen ! 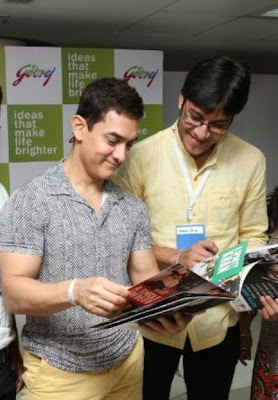 Can you believe, With lot of hopes, Efforts to make a book, So much dreams, Flew to Mumbai and didn't get to meet Aamir, that too when he was so near. Damn ! It was a really bad moment, with full upset feeling. But still, A little hope inside was there, don't know why ? Probably because I had done genuine efforts, but I knew there was no damn chance now. I almost gave up, and it was all over. We were taken to a hall to have snacks and return back. Did they expect me to have Snacks, that too when I didn't get chance to meet Aamir. No way !! I didn't have it, and I decided to stand at some corner waiting for other folks to have their snacks and return. The organiser came up to me, said Let's have a group photo, I was like Is she kidding ? I was so frustrated, Feeling bad, and she asked for a group photo. Still, I couldn't be that rude, and Photo was done. The organizer probably saw the upsetness and came up to me and said, Look, All I can try is I can get this book autographed and send you by courier or somethinig. I was not able to digest it, but still I said Alright. Organiser went down to talk to some top official and ask for autograph. I don't know what happened there. I was standing in the corner and the organiser came up running that "Come on ! !, You got a chance to get a photo with Aamir Khan"
I was just in a state of shock for a while, could not believe what she told. Those words just made me charged up, and I really was not it. I somehow controlled my emotions and went down. 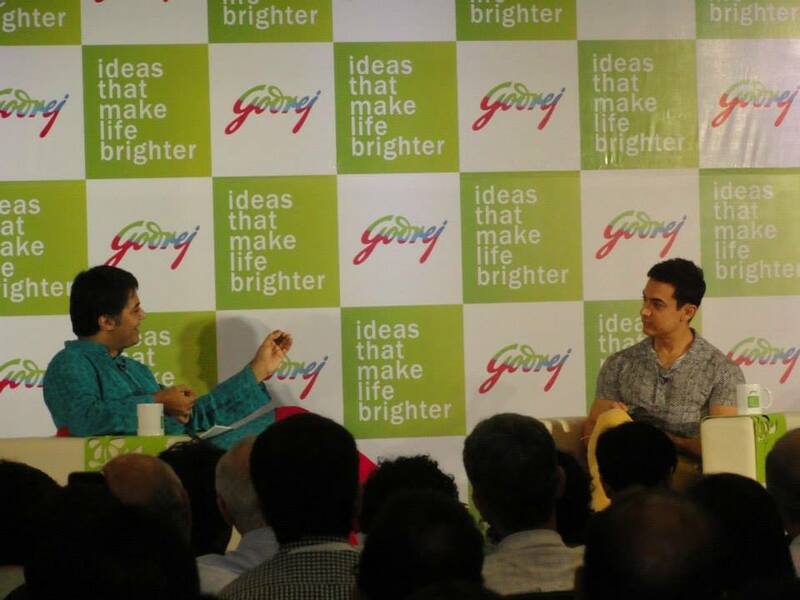 Aamir was having some meeting with the Chief Distributors of Godrej, and we were taken to that hall. The Chief Organiser came to us, and said "Look, You will have like just 5 Seconds. Aamir will come, Stand, A photo will be clicked and he will Move". I said "Alright". I silently said to myself "I know what Aamir is". I had cent percent belief that once he sees this book, No damn person can stop me to talk to him, and present the book. We waited and waited, and the WOW moment happened. Aamir khan finished the interview with distributors and came to us walking ! I was not believing that 'Rancho of 3 idiots', or 'Sanjay Singhania of Ghajini' , or bhuvan of Lagaan, or 'Nikumbh of Taare Zameen par' - Yes 'The Aamir Khan' was just in front of me, near me. He came towards me and himself extended the hand, just like he did in Ghajini (Hi, I'm sanjay, Sanjay Singhania), and then I said "Hi sir, I've a small present for you, This Book"
Aamir looked at the cover and said " Oh, This is for me ? Really ?" , I said, "Yes"
I could see the Joy and smile easily over his face. He was so genuinely seeing each and every page and photos of the book. As he kept turning pages, He smiled, He giggled looking at some old photos. He asked "Oh ! This photo, also you have taken", "Oh, This is the photo when I donated the blood"
One of the photos in the book showecased his 'Down to earth' nature. 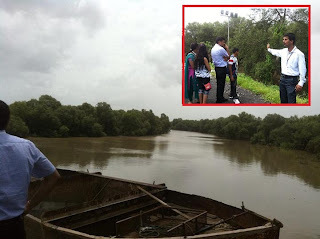 During his 3 Idiots Movie promotion, He had been to his mother's native and he could not find his mother's home. One of the Auto Driver, Ram Lakhan, helped him to reach aamir's mother's home, and Aamir probably made him a friend. Few months after it, It was that Ram Lakhan's Son's Marriage, and he causally sent invitation to Aamir Khan, and guess what ? Aamir Khan personally went down to Varanasi leaving his works, and that was a real showcasing of 'Down to Earth' nature of Aamir. He kept his words and he attended the marriage. He had lunch there and then gave his glipse to fans from the terrace of the home too. I'd collected that photo too, and I showed it to Aamir and "See, This is when you attended the marriage...", He said "Oh yes, great" !!! 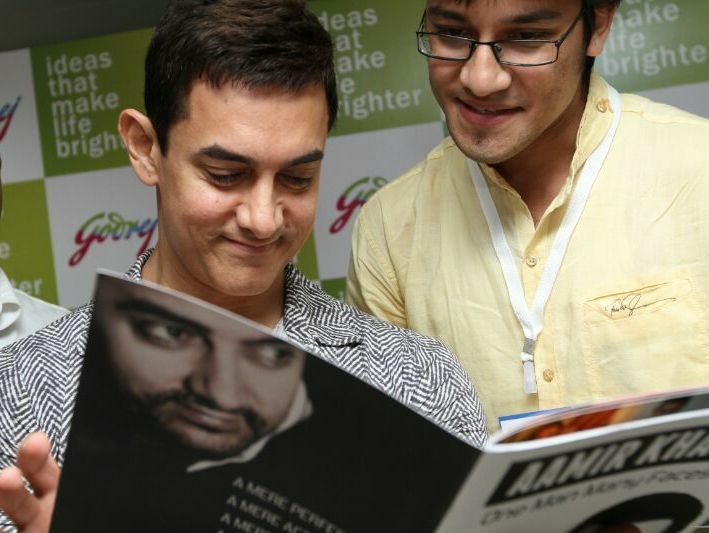 I was just feeling awesome that I was told to get only 5 Seconds, and it was over 5 minutes, Aamir was with me, standing near and looking at the book. He saw the whole book for about 5 -10 minutes, and then asked my name. I said "Akash". 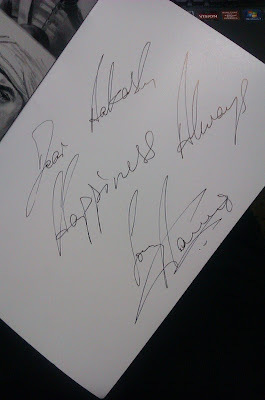 He took the Marker, and autographed on the last page of my copy "Dear Aakash, Happiness always. . . Aamir Khan"
What More could I expect man. I realised, why people call him "The Down to earth" Man. He was so so down to earth. He himself said, "Let's have a photograph", and Kept his hand on our shoulders. We stood in the line and the Awaited moment got a CLICKKKKK !! I thought, That was it. I got so so much when nothing was looking to happen. 15-20 Minutes back, I had almost given up that Nothing can be done now and it was all over, but still there was a little little hope inside for some miracle, and that Miracle happened ! I was standing after the meetup, and one of the organiser came up and asked "You made that book" ?, I said, "Yes". She said " You know what ? 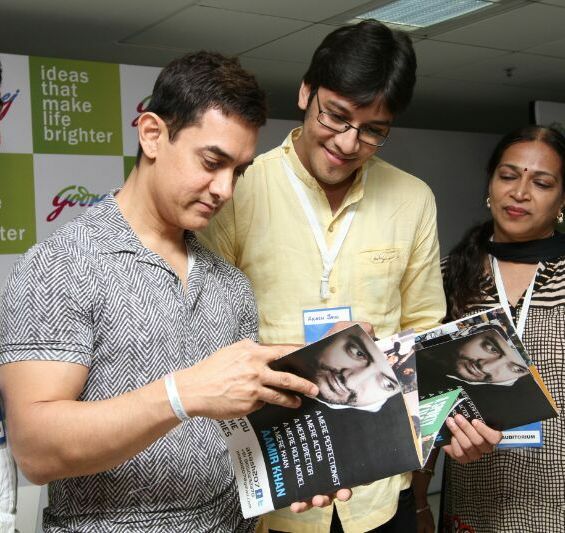 Aamir Khan personally showed up your book to Mrs. Parmeshwar Godrej (Wife of Adi Godrej), and she liked it so much, that she asked me to send her a copy of it"
Once everyone came to know that Mrs.Godrej liked that book and asked for a copy, everyone came to me, and started asking What book which book, Show me Show me.. 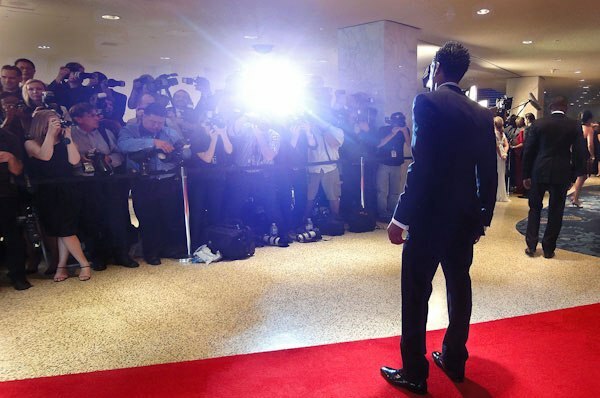 I was feeling like a Star there, where everyone were praising my work, my genuine efforts. That was another Moment where i realised that when you put in your geninue efforts, Miracles do happen. There's a Line saying "Agar kisi bhi cheez ko dilo jaan se chaaho, to saari kayenaat, tumhe use paane me lagaa deti hai"
We were done with the Aamir meet up and we were taken to Godrej showroom. 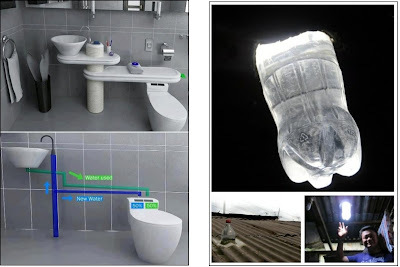 All the products were shown, explained. Prasanjit Saha from Jamshedpur, One of the winners with me, basically is a Enterprenuer with a Personalised Gifts startup called "Tohfa4u", to be precise, A "Successful Startup". I talked about an Hour or two, discussed how did he started off things, what acted as his advantages, what barriers, what did you learn, what problem did he come up. He told many experiences of him. I got to know many startup mantras. Who can be a better person to explain about a startup, than a successfull startup entreprenuer. With all my Great up and down experiences, all Inspiring and motivational moments, all the gains, All the Enjoyment at the Mumbai trip, I flew back to Mysore. Thanks a lot Godrej and their Organisers for a beautiful and Inspiring Trip, which really meant a lot to me. 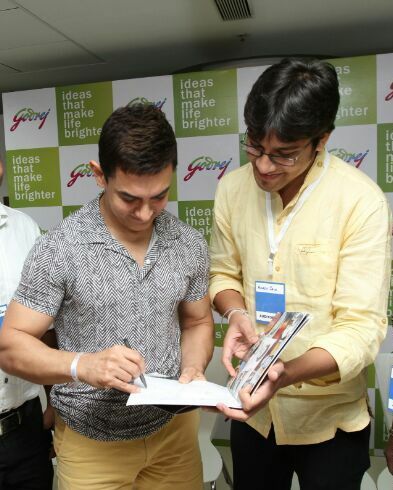 Thanks to all the genuine efforts of the organisers due to whom i got the chance to Meet up Aamir. Thanks a lot to the other three winners Jaey Gajera, Prasanjit Saha and Suman Kamath for giving a good experience and company. Sorry for so long post, but I'm sure you would understand that it is tough to limit the emotions during such a experience. Do Like and Share and give me genuine feedback and do put up your valuable comments. I've entered the Tata Safari contest with this post. 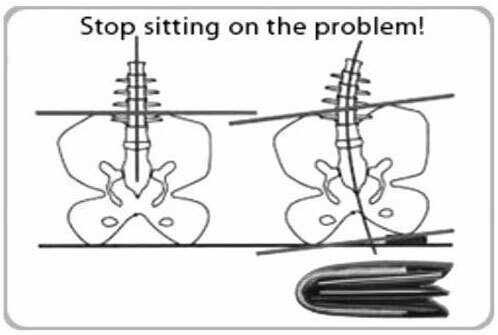 You may have never thought of this but this can produce multiple problems in spine especially for those who have long sitting hours. Make sure that when you sit in your office chair your wallet should be not in your back pocket (Not only Wallet don’t sit with anything in your back pocket). 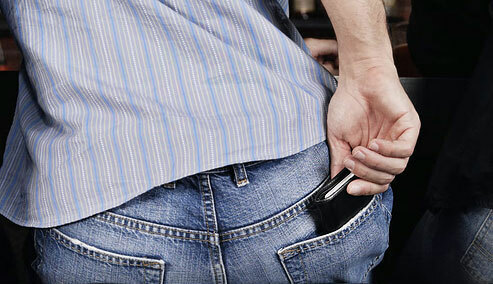 The wallet acts as a wedge that forces the pelvis, spine and body out of alignment. Just as you would not sit on a brief case or a rock for an extended period of time, you should not sit on your wallet. Anyone who drives more than a half hour sitting on a wallet is a candidate for sciatica or back pain. Don't forget to share it, If you find this useful. 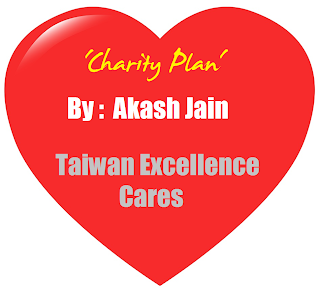 The Taiwan Excellence campaign has seen an unprecedented success in the last three years and is back with the aim to bring excellent lifestyles to India. They have organized an exciting campaign for charitable organizations where we get a chance to execute our charity plans and donate products worth $10,000 to the organization. The big idea campaign, “Taiwan Excellence Cares”, was also launched aiming to bring out excellent lifestyles to consumers across Mainland China, India, Indonesia and Vietnam. This is the first-ever community caring program carried out by Taiwan Excellence, which is famous for its design uniqueness and functional smartness. Taking inspiration from last year’s theme of ‘Creating an Excellent Home with an Excellent Lifestyle’, TAITRA renews its commitment to India and brings “Fostering Excellent Lifestyles in India with Taiwan Excellence”. I have proposed my charity plan called 'Hyieginic Learning and Earning Envirornment'. 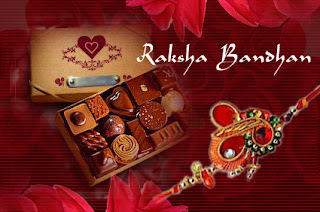 I have selected a NGO and my charity plan for it has been shortlisted. Please go through my charity plan and Please please vote for me. 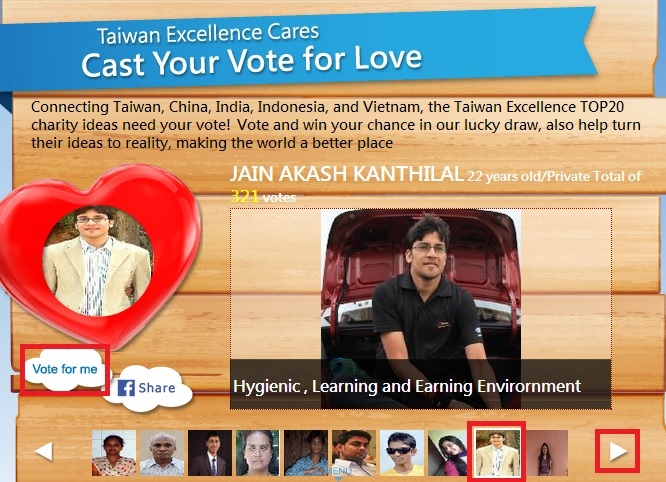 Step 3 : Click on Vote for me. You can see my charity proposals by clicking on the main image. Remember, You can vote for me once, every hour, so please pour in your votes and ask your friends to vote. Rakshabandhan, 21 August 2013, The day when a sister ties a sacred thread called 'Rakhi' to brothers hand and brother promises to take care of her sister throughout the life. 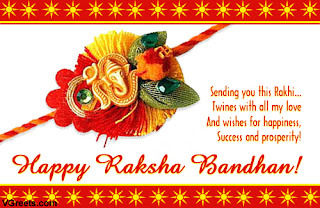 Its the diversity of India, where If you go out on the Rakshabandhan day and just watch out the wrist of people, you will definitely find the Rakhi tied on their hands. "I think people that have a brother or sister don't realize how lucky they are. Sure, they fight a lot, but to know that there's always somebody there, somebody that's family." "I, who have no sisters or brothers, look with some degree of innocent envy on those who may be said to be born to friends."